In July and August I attended the MCDM (Society for Multicriteria Decision Making) conference in Hamburg, presenting work on “Eliciting probabilistic long-term forecasts for the drivers of greenhouse gas emissions in South Africa“. 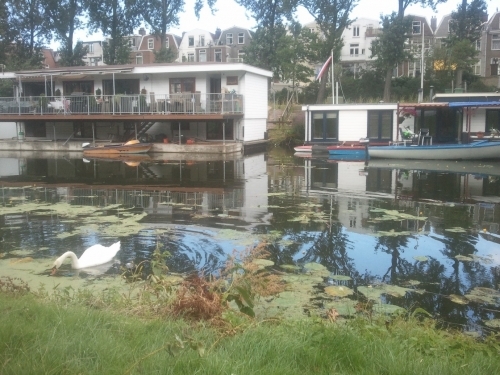 I also visited collaborators in Europe: Lisa Scholten at the Technical University of Delft for joint work on methods for global sensitivity analysis of decision models and supporting decisions around water infrastructure maintenance; Philip Ebert at the University of Stirling, working on risk perception; and Konstantinos Katsikopolous at the Max Planck Institute for Human Development in Berlin, working on the interface between decision analysis and heuristic decision making. In Stirling I gave a seminar “How do surprise events influence forecasts of the future?” and in Berlin presented work on “Prescriptive decision analysis and fast-and-frugal heuristics: points of convergence, divergence, and opportunity”.